Boy Scouts of America Troop 888, Papillion, Nebraska, is part of the Mid-America Council and its Wagon Wheel District. 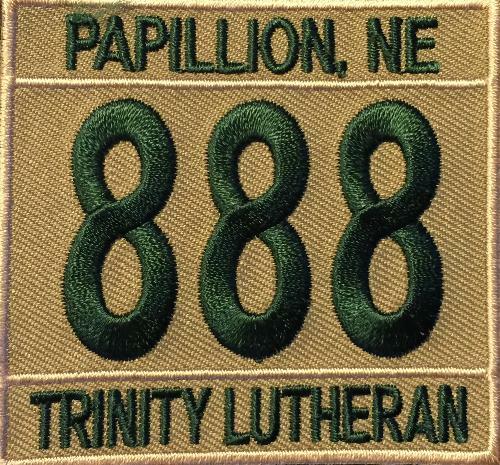 Trinity Lutheran Church in Papillion, NE, is the Troop's chartering organization. We are excited to continue our Scouting adventure with one of the most vibrant church families in Papillion. Troop 888 has distinguished itself in many ways. Troop 888 has one of the best advancement records in Wagon Wheel District. This is due primarily to an excellent program of consistent opportunities to work on merit badges and rank advancement requirements. Troop 888 maintains a 12 month outdoor/activities program and multi-year high adventure plan. A High Adventure Crew comprised mostly of Vacationing Penguin Venture Patrol Scouts attended the Missouri River High Adventure Base (MRHAB), Elkhorn High Adventure Base (EHAB), the Florida National High Adventure Sea Base, and the Texas High Adventure Base (THAB). Future plans include contingents to Philmont Scout Ranch, the BSA National Scout Jamboree, summer camp at Medicine Mountain Scout Ranch, SD, and Northern Minnesota week-long canoeing. Troop 888 is outfitted to support four patrols of Scouts and the Crazy Eights Patrol of adult leaders. Troop 888 has 12 Eureka Timberline 4 tents, purchased in 2015, for the Scouts to camp in. We also have 13 six-person tents in reserve to house an ever expanding roster of Scouts and leaders. Additionally, we have 14 backpacking tents for high adventure trips, and two cargo utility trailers. Troop 888 is a 100% Boys’ Life National Quality Unit. Scouts and Scouters take pride in following Boy Scouts of America (BSA) policy and guidance including wearing the full BSA uniform. The attached MS Powerpoint presentation provides a quick snapshot of Troop 888's activities during 2016. Troop 888 participates annually in the Scouting for Food Drive and assists regularly at a local food pantry. Troop 888 cleans one mile of 72nd Street in the Adopt-a-Road program periodically through the year. Additionally, we participate in many other community and Scouting service projects as they arise through the year. So what all is invovled with joining Scouts? That's a good question. As with any organization, there is some paperwork, fees, and administrative tasks that need to be navigated through. A brief welcome guide is provided below. It is not meant to be authoritative, or the end-all-be-all. It's more like a "quick-start" guide you'd get with a new cell phone or TV. If you have any questions, please feel free to contact us using the "Contact Our Troop" link at the top of the website banner.